Dr. Burnside is the former director of quantitative research at Rochester money manager Clover Capital Management. He has held various roles in the investment, risk management and financial planning fields, and has worked extensively with both individual and institutional clientele. 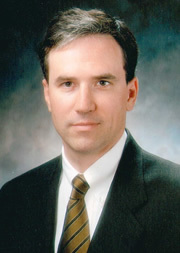 Burnside is a chartered financial analyst (CFA). His teaching goal is to provide students with the knowledge to bridge the gap between the academic theories and the practitioner world of money management.